You can buy Ayr Past and Present from the author's online Bookshop. Ayr has been an important town over its long history. Originally the site of a royal castle, it later became a major centre of commercial and municipal influence in the west of Scotland. Ayr Past & Present contains many photographs that depict the changing face of the town, where even the unchanged streets can look quite different! Here also is a look at places long gone, compared with the present view, as well as changes in lifestyle, including work, leisure and shopping. In addition to chapters on streets, industry, entertainment and people, there is another detailing the numerous places associated with the national bard, Robert Burns. 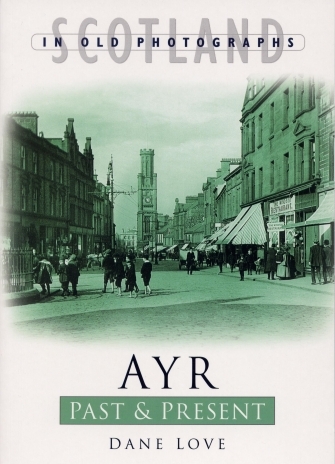 Anyone with an interest in Ayr will find this book a veritable feast of nostalgia. It will delight residents and visitors alike, with its wide selection of photographs of people and places from the past and present.